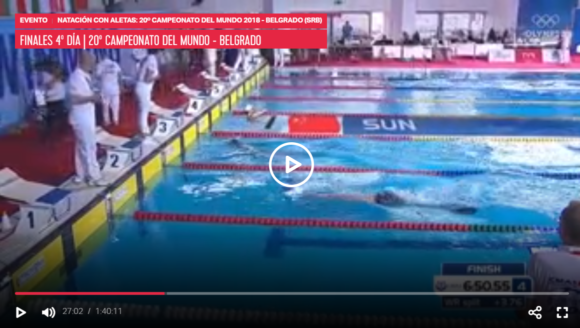 On the fourth day of the World Championship finals in Finswimming for seniors in Belgrade, competitions were held in three disciplines in the women’s and men’s categories. Russia dominated the relay, and the most pleasant surprise was 17-year-old Ukrainian Olaksil Zakharov, who won the race at 800 meters. The final competitions began with a 50m AP Fast Heat. At the start of the finals there were two Colombians, Koreans and Chinese, while the two remaining places were taken by competitors from Russia and Greece. So it’s no wonder that the Chinese won two medals – gold and bronze, and among them was a competitor from South Korea. There was no record breaking, but Cheng Jing Shu won with a solid 15 seconds and 90 hundredth, Korea Miri Yoon ended the race after her, and the third was Yagi Lin. In men’s competition, in the same discipline, gold and silver medals were won by Russians Vladimir Zhuravlev and Pavel Kabanov, and bronze by Korean Kwanho Lee. The Chinese were great today, so they also took two medals in the race at 800m SF W Fast Heat. The new world champion Yi Ting Sun won convincingly as she left her main competitor to second-placed Ukrainian Yevhen Olienikuov for almost eight seconds, as well as the third Chinese Chinese Si Jia Chen. 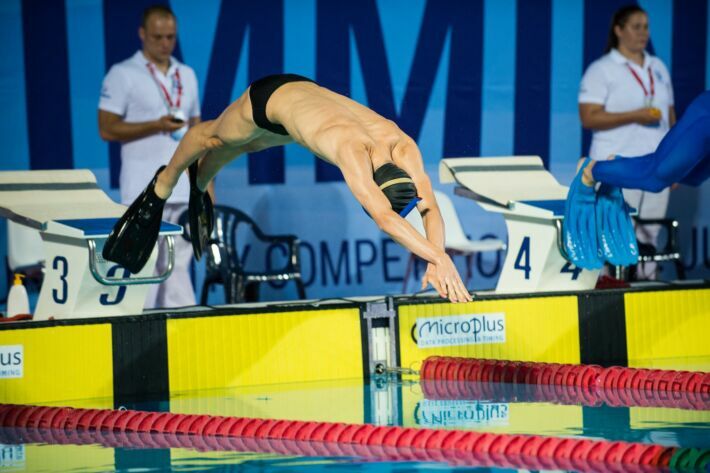 Nevertheless, the last day of the competition at the swimming pool was marked by the winner of the race at 800 meters, the young, 17-year-old Ukrainian Oleksil Zakharov, who defeated much more experienced competitors. After the race, he was very happy and did not hide his enthusiasm for the triumph in Belgrade. “I have to praise the organizers; they really provided us with top quality conditions. I like the atmosphere in this competition. In fact, everything is great to me, “said the young Ukrainian, who is the first time in Belgrade, a city to remember for great success at the beginning of his career. In the relay (4x100mSF) were dominated by competitors from Russia. Ladies from Russia deservedly won gold medals, as they were better than China and Colombia, while the Russians were faster than South Korea and Italy. In Russian team was Vladimir Zhuravlev, who won another gold medal today, as well as Pavel Kabanov who, besides silver, won the gold medal. Colombia ended this race in second place, but due to a violation of the rules, after judicial consultation, disqualified. The world championship will continue this friday at Ada Ciganlija Lake, where competitions will be held at long distances.